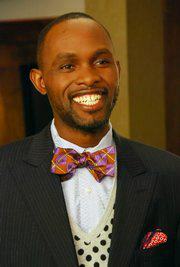 Derreck Kayongo, a Uganda native, who started the Global Soap Project in 2009 has made the 2011 TOP 10 Heroes. From thousands of nominations,he made the CNN 2011 Heroes finals which is down to 10 Heroes as revealed on CNN by Anderson Cooper yesterday and now Derrick needs our votes to win the 2011 award and you can vote at www.cnn.com/heroes and read more about his cause. Each of the top 10 will receive a $50,000 grant and be honored at “CNN Heroes: An All-Star Tribute,” a globally broadcast event that airs December 11 at 8 p.m. ET/5 p.m. PT.